Walldorf, Germany-based SAP, a leading business software provider, announced late in the afternoon of January 11 that it would miss analysts’ consensus estimates, as well as its own estimates, of fourth-quarter and full-year 2006 revenues. Later that day in New York, the company’s American depositary receipts lost 10.4% of their value, lowering SAP’s market capitalization by about $6 billion. The German company, which generates a significant portion of its sales revenue in the United States, was hurt by the decline of the dollar against the euro. Since January 1, 1999, SAP’s management and external accounting have been in euros. “Foreign exchange volatility and surprises will not get a free pass any longer,” says Wolfgang Koester, CEO of Rim-Tec, the Scottsdale, Arizona-based firm that operates Fireapps, a technology and service that helps corporations optimize their foreign exchange processes. “SAP is just the latest proof of that,” he adds. European aerospace and defense contractor EADS in March reported its second straight quarterly loss and warned that its Airbus plane-making unit would post another substantial loss in 2007 after losing money for the first time last year. The aircraft maker was hurt not only by a two-year delay to its A380 super-jumbo jet but also by a weak dollar against the euro. Toronto-based Four Seasons Hotels suffered a foreign exchange loss of $24.6 million in 2005, primarily as a result of the translation of its US dollar and British pound net monetary asset positions to Canadian dollars using the current exchange rates at the end of each quarter. The company, which has since entered into an agreement to be taken private, now sells forward US dollars to enable it to better predict the cost in greenbacks of its Canadian-dollar general and administrative expenses and capital-funding requirements. Currency risk increases as companies do more of their business outside of their home country. It is the risk that an unfavorable change in the value of a currency will result in an unpredictable decrease in earnings, cash flow or value. More and more companies are creating formal risk-management policies to control their foreign exchange risk, but they still have a long way to go. “Some 80% of companies don’t know what their real foreign exchange risk is,” according to Koester. “Many companies are using manual spreadsheets and bad data and are failing to share information among divisions,” he says. Rim-Tec last month launched Fireapps 3.5, the industry’s first on-demand foreign exchange risk-management platform. The new software-as-a-service (SaaS) application provides enhanced visibility into corporate foreign exchange exposures and analysis based on real-time currency and internal banking data. For most companies, data are often scattered throughout various business divisions in numerous locations and must be gathered and manually entered into spreadsheets. “In addition to time and resource concerns, using spreadsheets to calculate exposure opens companies up to a high probability of error and inhibits them from making optimal exposure-management decisions,” Koester says. With Fireapps 3.5, companies can calculate risk exposures, including all inter-company accounts, in seconds. Once they measure their currency exposure, they can begin to manage it by identifying natural hedges that either already exist or can be created internally. Fireapps evaluates current foreign exchange exposures and provides the optimal ways to reduce those exposures. “Most CFOs have become glorified accountants,” Koester says. 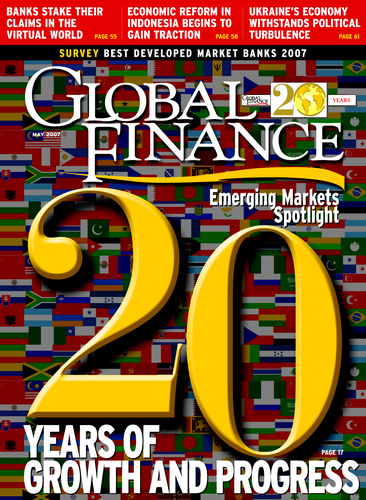 “They need to become strategic financial officers once again.” By taking a holistic view of a company’s foreign exchange exposure and understanding this exposure from an economic point of view, the CFO can find the most effective way to reduce the risk and then implement hedging as a last resort to manage the remaining currency risk, he says. Many companies still decline to actively manage their foreign exchange exposure and avoid the use of hedges, which are sometimes seen as a form of speculation. They may consider the effect of exchange rates on market share and profitability but rarely have a formal policy of considering currency factors in the procurement decision or where to source inputs. Fireapps can be integrated with foreign exchange trading platforms to streamline transaction-management activities with financial institutions. A drill-down exposure analysis feature ensures that decisions and risk-reduction actions are based on accurate exposure data and are consistent with a company’s risk-management policies and operational constraints, Koester says. Globalization and a move toward lowest-cost sourcing, as well as an increase in unexpected exchange-rate movements, are accelerating the effort to implement best practices in currency risk management. “More companies are looking at managing such risks that didn’t previously because they weren’t international enough,” says Stephen Baird, principal at Chicago-based Treasury Strategies, a consulting firm serving corporations and financial institutions. “Now there are lots of mid-size companies that are multinational corporations,” he says. It is becoming a trend for companies to implement a formal currency risk management process as opposed to a case-by-case approach. “This formalization is a best practice that has taken hold because of Sarbanes-Oxley reporting requirements,” Baird says. Corporate treasurers, who are generally responsible for managing a company’s currency exposure, are constantly exposed to people pointing their finger in their face, according to Baird. “I call it the Monday-morning quarterbacking problem,” he says. “The CFO wants to know after the fact why the treasurer hedged the dollar when the dollar went up, or why he didn’t hedge when the dollar went down.” With a formal policy in place, the treasurer can reply to those with perfect 20/20 hindsight that he was following an established practice when he made the decision whether or not to hedge, Baird points out. Meanwhile, a growing number of companies are becoming comfortable with hedging forecasted exposures as they realize that hedge-accounting rules are not all that difficult to comply with, according to Baird. Financial Accounting Standard 133 (FAS 133) is the accounting standard that pertains to derivative contracts and hedging activities. The use of a forward contract to lock in prospective currency rates satisfies the criteria for cash-flow hedge accounting. If a company knows that it will be importing parts for assembly, for example, it can create an effective hedge by purchasing a currency forward in the amount required to cover the import transaction at a specified exchange rate on the payment-due date. Among companies that are doing a good job of managing their currency risk, Koester cites Google, Procter & Gamble and Microsoft. Redmond, Washington-based Microsoft hedges a portion of its anticipated revenue and accounts receivable exposure to foreign-currency fluctuations, primarily with option contracts. It monitors its foreign exchange exposures daily to maximize the overall effectiveness of its foreign-currency hedge positions. The main currencies it hedges include the euro, the yen, the British pound and the Canadian dollar. Microsoft uses a value-at-risk (VaR) model to estimate and quantify its market risks in foreign-currency, interest rate, equity and commodity-price risks. VaR is the expected loss, for a given confidence level, in the fair value of its portfolio due to adverse market movements over a defined time period. “The VaR model is not intended to represent actual losses in fair value but is used as a risk estimation and management tool,” the company says in its annual report for 2006. VaR is calculated by computing the exposures of each holding’s market value to a range of more than 1,000 risk factors. Microsoft notes that several risk factors are not captured in the model, including liquidity risk, operational risk, credit risk and legal risk. “Losses in fair value over the specified holding period can exceed the reported VaR by significant amounts and can also accumulate over a longer time horizon than the specified holding period used in the VaR analysis,” the company says. The recent increase in foreign exchange market volatility was triggered by a variety of factors, including a wave of carry-trade unwinding in the year-end 2006 period and big swings in global equity markets following the 9% one-day plunge in China’s stock market in late February. While several emerging market currencies came under attack during this period, they have since recovered. Meanwhile, the dollar’s shaky foundation went from bad to worse in mid-April as the greenback hit a new two-year low against the euro, a 17-year low against the Australian dollar and a new low for the year against the Canadian dollar, says Ashraf Laidi, chief foreign exchange analyst at CMC Markets in New York. Rising prices of oil, gold and other metals, as well as rate-increase expectations, are behind the surge in the Australian dollar, he notes. Expectations of higher interest rates are also supporting the euro, he says. “The yen remains the consistent loser, offering some relief to the dollar,” Laidi says. Market participants began moving back into yen carry-trades last month, as the Bank of Japan continued to express caution about the risk of renewed deflation. Despite confirmation in the latest Federal Open Market Committee meeting minutes that inflation remains the principal risk to the Federal Reserve’s economic assessment, the dollar remains overshadowed by the risk of further economic slowing at home and robust growth abroad, according to Laidi. Talk of favorable tax laws to allow Britain-based companies to repatriate foreign profits tax-free triggered a sharp rally in the British pound last month, but Laidi says the UK currency should start to gradually form a top against the dollar. Preliminary steps by Britain’s Financial Services Authority to investigate the country’s sub-prime mortgage market have started to weigh on the pound, he says. The rise in the UK’s February trade deficit also is helping to cap “cable,” as the pound is known, he notes. The better-than-expected US employment data for March failed to provide the dollar with any lasting gains. The dollar was engulfed by a new wave of selling after the US administration said it would file complaints at the World Trade Organization targeting China’s piracy of US copyrighted movies, music, software and books. The action sparked worries of potential retaliatory acts by Beijing, Laidi says. “History has shown consistent empirical evidence that nations pursuing protectionist rhetoric will experience declines in the value of their currencies,” he says. The WTO action followed the US Commerce Department’s announcement of the imposition of countervailing duties on imports of coated paper, not only from China, but also from South Korea and Indonesia. “While there is no reason to link this to previous threats by the US Congress to apply a 27.5% tariff against Chinese imports, the market’s reaction demonstrates how sensitive an issue this is,” says Michael Woolfolk, senior currency strategist at The Bank of New York. Thanos Papasavvas, head of currency management at London-based Investec Asset Management, says the first quarter of 2007 brought a pickup in volatility across all asset classes, with currency markets badly whipsawed during February and March. All major currencies appreciated against the dollar in March, with currencies of the resource-producing countries performing particularly well. “We expect the Fed to cut rates by 25 basis points while the Bank of Japan and the European Central bank tighten by the same amount during the summer,” Papasavvas says. “The interest-rate differential will continue to play against the greenback against all the majors save the yen,” he says. As the first quarter ended, one of the key features for policymakers and investors was an increase in uncertainty, says Marc Chandler, global head of currency strategy at Brown Brothers Harriman in New York. “In many ways, what happens in the second quarter may very well set the tone for the rest of the year,” he says. For one thing, the outlook for the US economy should become clearer. If the Fed is right and the US economy strengthens in the second half, then the second quarter could mark an important high for the euro, Chandler says.The risk is that by the end of the second quarter the European Central Bank will have brought its refinancing rate to 4%, a level that it regards as neutral, he adds. “It may pause and wrestle with the same dilemma that the Fed has: how to pause without signaling the end of the cycle,” he says.